Monster has been at the receiving end of the polarizing notoriety that plagues the Beats line of headphones. While Monster has severed ties with Dr. Dre’s iconic (and overpriced) line of lifestyle headphones, the current consumer perception of the headphone brand still remains. This is quite unfair for otherwise extraordinarily good makers of headphones. 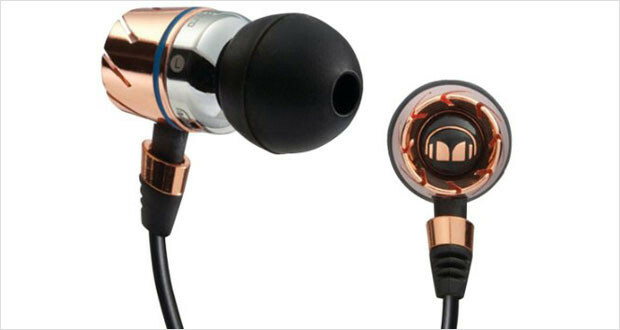 The Monster Turbine Pro Copper Headphones prove just how well made and great sounding Monster’s earphones actually are. 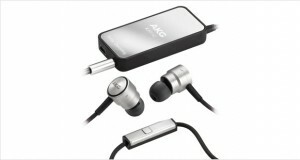 These are one of the best looking earphones as well as one of the best in ear headphones available in the market. 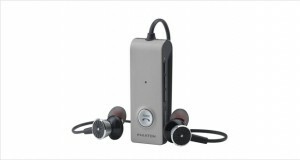 As far as noise isolation prowess goes, these are also one of the best noise cancelling headphones that you can buy. Everything about the Turbine Pro screams quality. 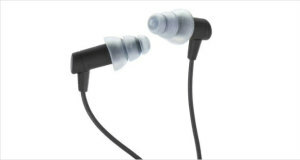 From the overall air-plane turbine engine look to the impressively accurate reproduction of the music, these are premier headphones that also have the added advantage of having lifetime warranty – yes Monster ensures that these headphones are so good that they can afford a lifelong service warranty. The design of the Monster Turbine Pro Copper headphones is impressive with an all metal construction of the headphones that are inspired by air-plane turbine engines – the grooves in metal are all there. The cable itself is quite thick and does not seem to be one that would fray or tear easily. The entire look and feel of the device is professional. Dimensions2.2 x 6 x 9"
All metal housing notwithstanding, the drivers are prone to easy damage according to quite a few users – this may be due to the pressure sensitive drivers that get damaged in shifting pressure conditions. Several tips provided in the box allow for a lot of comfort. However these are universal fit and there may be quite a few people who are not comfortable with these. Very clear highs that are well suited for pop or classical music. Gloriously defined midrange frequencies really bring out the sound of vocals. While well defined, the lows are a tad bit heavy and warm. A good fit reduces ambient noise by a substantial amount, allowing for a noiseless listening experience. After the break-in period, these were really great performers and stylish to boot. The Monster Turbine Pro Copper headphones are star performers for their price point, with a great look and feel to boot. These are the kind of earphones that those who judge Monster for their association with the Beats series should try out and be awed by. The overall experience is quite positive and this should be high in the list of earphones to try if you want to spend some money on audiophile gear.